Monday, 14 January 2019, 11:14a.m. A man has been charged with murder after a man was killed in Otara last night. Police last night launched a homicide investigation after the body of a 62-year-old man was found in Ōtara last night. Police arrived the scene at St John the Evangelist Catholic Parish in Otara Rd at 6.50pm when the man's body was discovered. 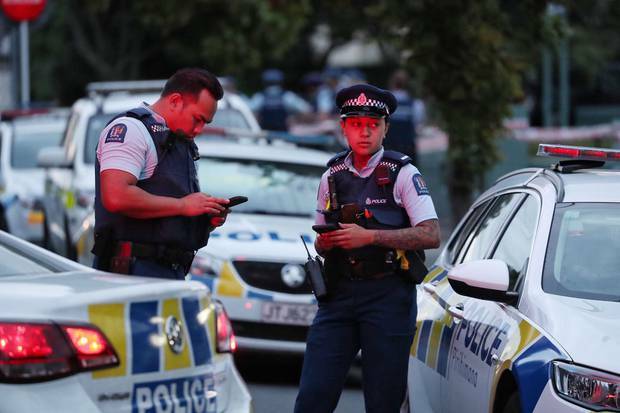 Counties Manukau Detective Senior Sergeant Warrick Adkin said a 44-year-old man had today been arrested and charged with murder. Police believed the victim and alleged offender were known to each other and police were not seeking anyone further in relation to this matter. The church was the centre of intense police activity and cordons were put in place 100 metres in either direction of the road by emergency services. Detective Senior Sergeant Warrick Adkin said one person was assisting police with inquiries and detectives were working to understand the circumstances of the death. Eight police squad cars and a dozen police officers remained at the scene late into the night as they worked to establish what had happened. Motorists were forced to drive around the scene which saw the number in bystanders increase as the investigation continued. The neighbourhood was quiet as the flash of blue and red lights lit up the surrounding buildings and the faces of those at the scene. A group of about 10, thought to be the family, met just inside the cordon and talked among themselves and to police officers throughout the night. Bystanders stood outside the cordon, standing quietly and scanning the area for anything which could give a clue as to what happened. Only the entrance of the church could be spotted from the cordons, an area were several police officers stood and talked. Around dusk, a middle-aged woman was escorted outside the church by police officers who drove the woman away in a red patrol car with the lights flashing. At 9.30pm a Victim Support officer arrived at the scene, briefly speaking to police officers on the scene before addressing the family. Soon after a police officer in a white boiler suit was seen walking towards the entrance of the church. Police officers on scene were not able to comment on what had taken place, other than it was in the hands of the Criminal Investigation Branch (CIB). A 44-year-old man will appear in the Manukau District Court facing a murder charge today. In November, a 35-year-old man was arrested and charged with murder following a shooting which had taken place in Otara. Detectives from Counties Manukau Police were called to Zelda Ave after reports of a firearm being discharged at 10pm on Tuesday 11th. A man was found on the footpath when police arrived at the scene and he later died of his injuries.